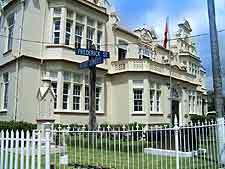 There are a surprising number of museums and related attractions to be found scattered around Trinidad, as well as commercial art galleries selling paintings created by local artists from the island itself. 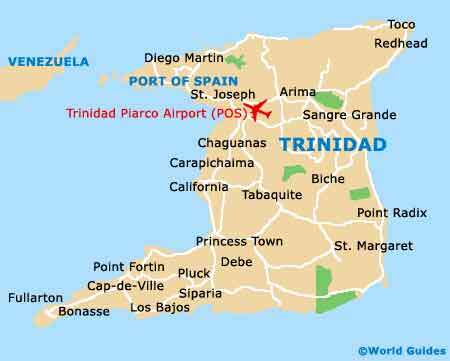 In particular, Port of Spain is home to two of the very best offerings and is where you will find both the Chaguaramas Military History and Aviation Museum, and also the Trinidad National Museum and Art Gallery, which showcases much West-Indian history. Something for all of the family is the NGC National Science Centre on the outskirts of Arima, in north-east Trinidad, which is run by the NIHERST - National Institute for Higher Education, Research, Science and Technology. Hands-on exhibits and the star shows at the Starlab planetarium are the main highlights here. 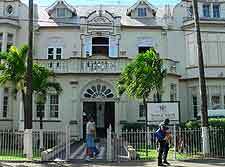 One of the island's must-sees, the National Museum and Art Gallery is to be found at the very top end of Frederick Street and directly across from the Memorial Park. Established as long ago as the 1890s and formerly known as the Royal Victoria Institute, the National Museum and Art Gallery contains a huge collection of items, which number in excess of 10,000. Expect to find a number of paintings created by Trinidad's acclaimed artist Michel-Jean Cazabon (1813 to 1888), as well as displays showcasing the island's geology, flora and fauna, and national carnival celebrations. Audio-visual presentations are regularly staged here and leave visitors amazed at the unexpected wealth of culture present on the island of today. Featuring an array of island memorabilia, the Chaguaramas Military History and Aviation Museum contains everything from military artefacts, soldier's uniforms and radio equipment used in both WWI and WWII, as well as some giant tanks and reconstructions of actual bunkers and battle scenes. Friendly volunteers man this attraction and are knowledgeable on the subject matters at hand. There are also innumerable models of jet fighters and battle ships. The NGC National Science Centre is an especially lively and family friendly attraction and is well known for its interactive exhibits, computers and puzzles. Founded in 1997 as simply a travelling exhibition, the NGC National Science Centre has grown in both stature and popularity ever since, being home to puzzles, origami displays, computers and regular demonstrations and shows, which often attract a large audience. Located on the eastern side of the island and at the very top of the scenic Lopinot Valley, the Compte de Loppinot Historical Complex stands close to Arouca and the base of the Northern Range. It was here where the French Army General, the Comte Charles-Joseph de Loppinot, settled in the 18th century, and his former residence, the Lopinot mansion, remembers his achievements, which include establishing a thriving coffee and cocoa plantation. Offering an interesting past and some strong French and Spanish origins, the estate's grounds are particularly beautiful and ideal for a spot of bird watching.